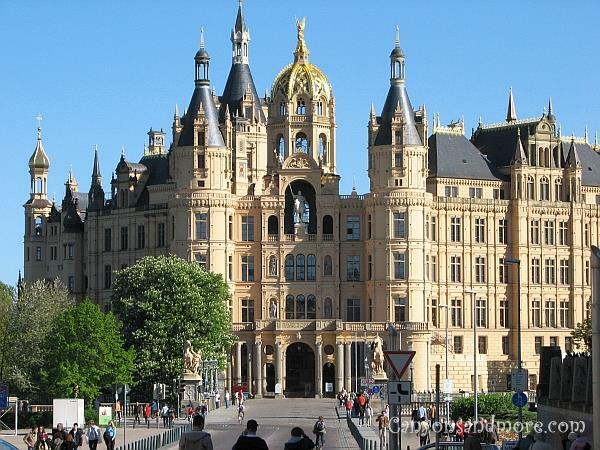 The city of Schwerin is the capitol of Mecklenburg-Vorpommern and is located on the Schwerin Lake, which is the 4th largest lake of Germany with 61 km². 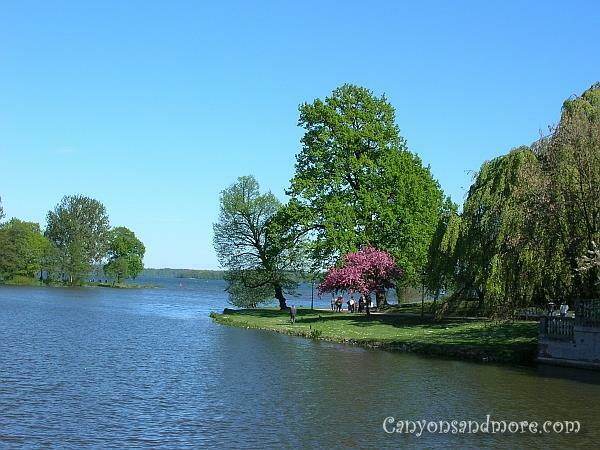 Mecklenburg-Vorpommern is located in north-east Germany on the Baltic Sea. Overlooking the city is the Schwerin Castle. 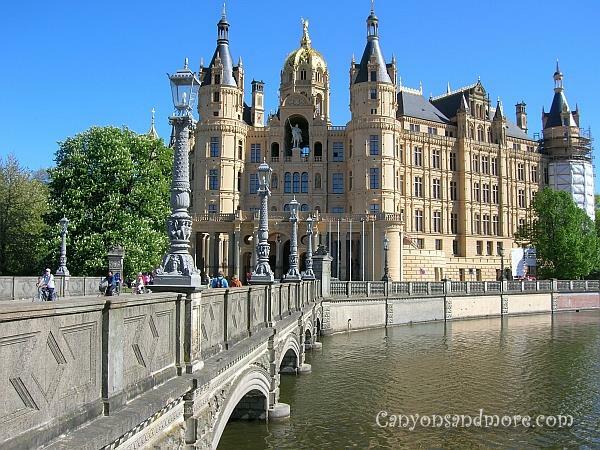 The city of Schwerin itself looks like time stood still and has many charming historical aspects to it. Each year one German city hosts a unique exibition of flowers and beautiful gardens. In the year 2009, this exibition was located in Schwerin around the castle. Germany is well known for its magnificent castles. The image above of the Schwerin Castle is one of the most beautiful castles of the country and is located in Schwerin at the north-east part of Germany in the state of Mecklenburg-Vorpommern. 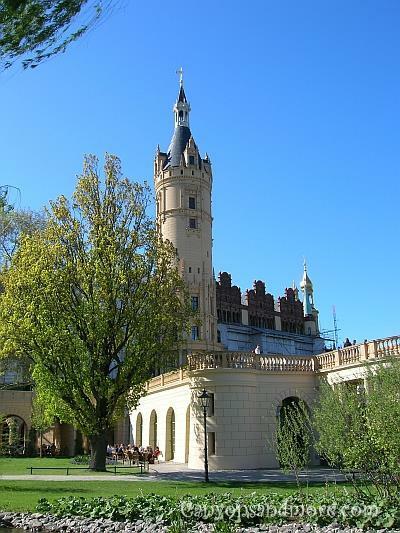 The castle is located on an island on Schwerin Lake and was first established around the year 965 as a fort which was destroyed and then rebuilt, and has since then experienced many restorations to achieve the appearance it has today. 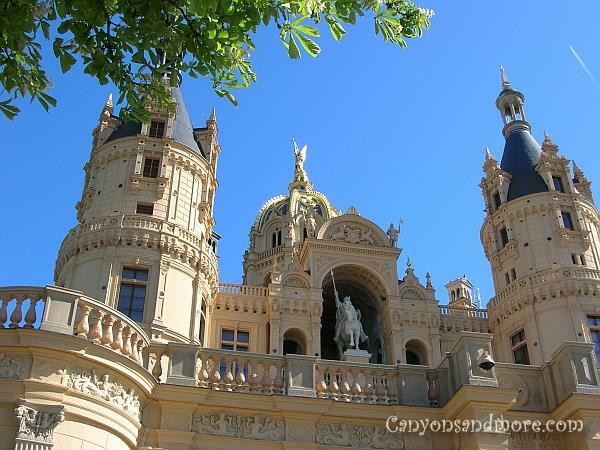 This gorgeous fairy-tale castle overlooks the Schwerin Lake and is not only a museum displaying arts and crafts, and Meissen and Berlin porcellan and costly antiques but is also the seat of the state parliament of Mecklenburg-Vorpommern. This grand entrance is located on the bridge which leads you to the castle grounds. 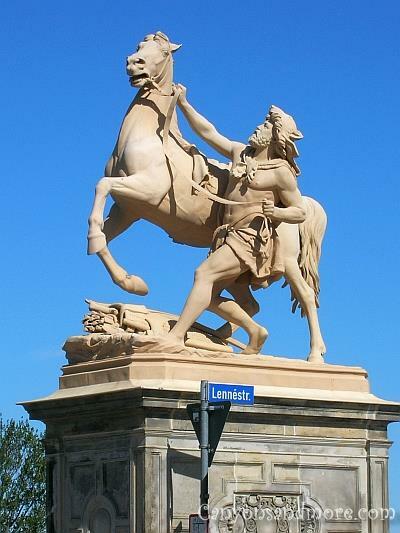 This the Niklot statue at the front of the Schwerin castle. 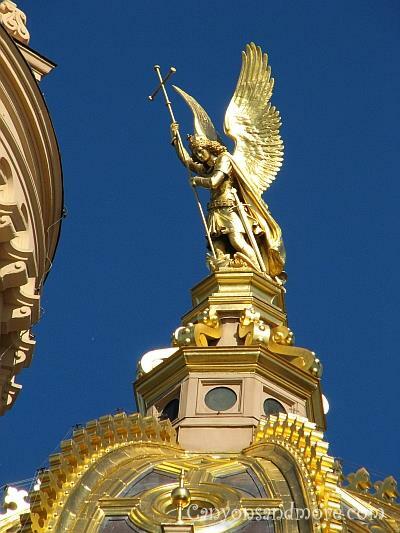 The gold statue on the top of the golden dome shines brightly in the afternoon sun. Visiting the castle during the warm months has its advantages. 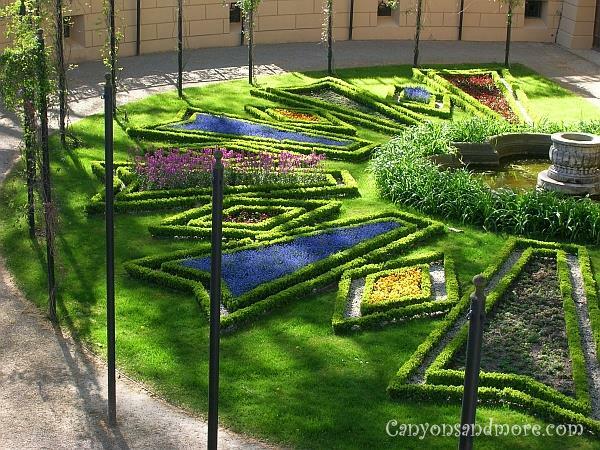 All around the castle you can view the romantic and colorful flower gardens and enjoy the beauty. The castle is situated on an island and is so peaceful to stroll around. This is the backside of the castle on the castle grounds. When standing at the castle, this is how the Schwerin appears. 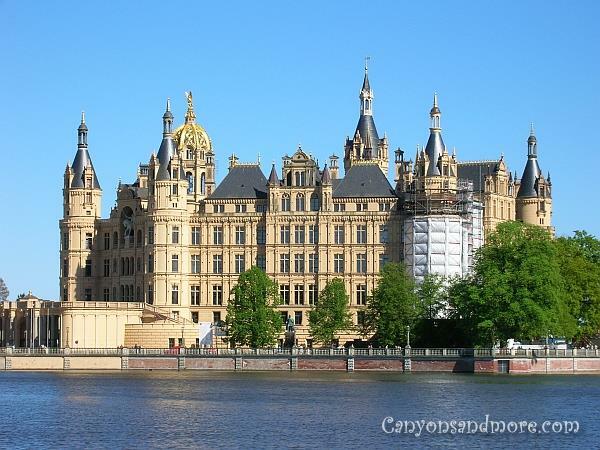 After visiting the castle, Schwerin is a lovely and historical location to tour as well. 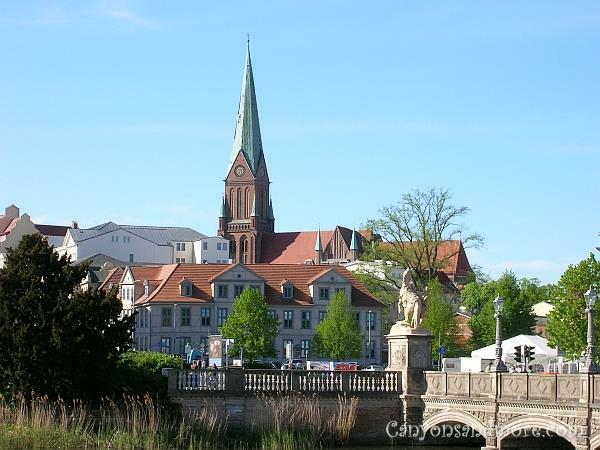 In this image, the Schwerin Cathedral proudly overlooks the city.